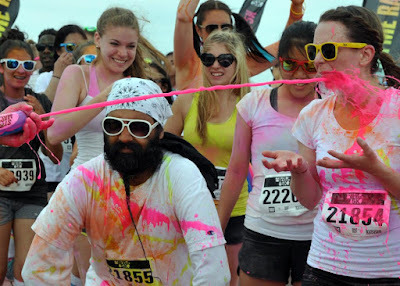 Now with goop! 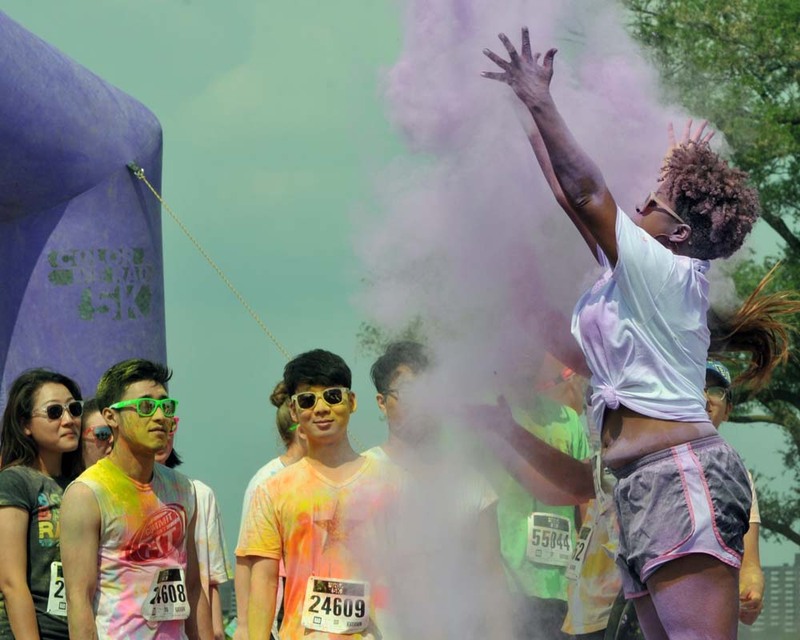 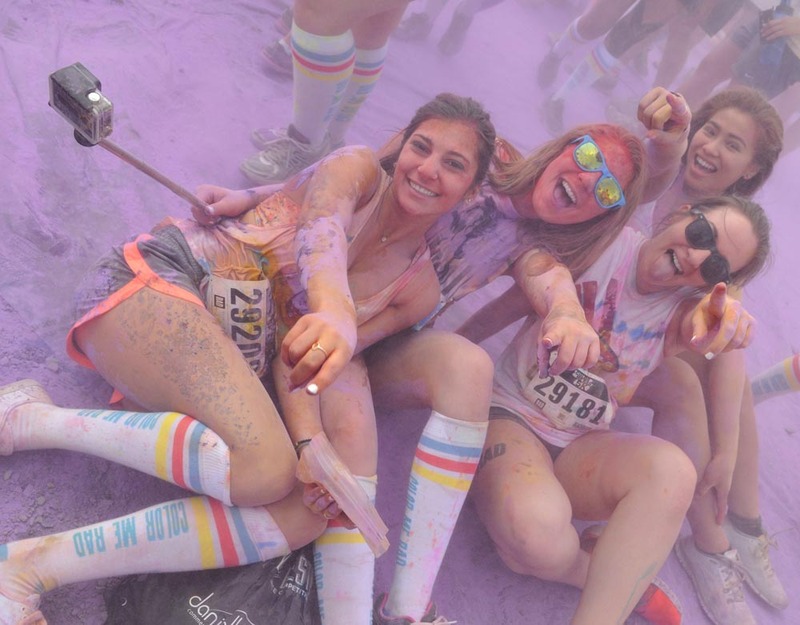 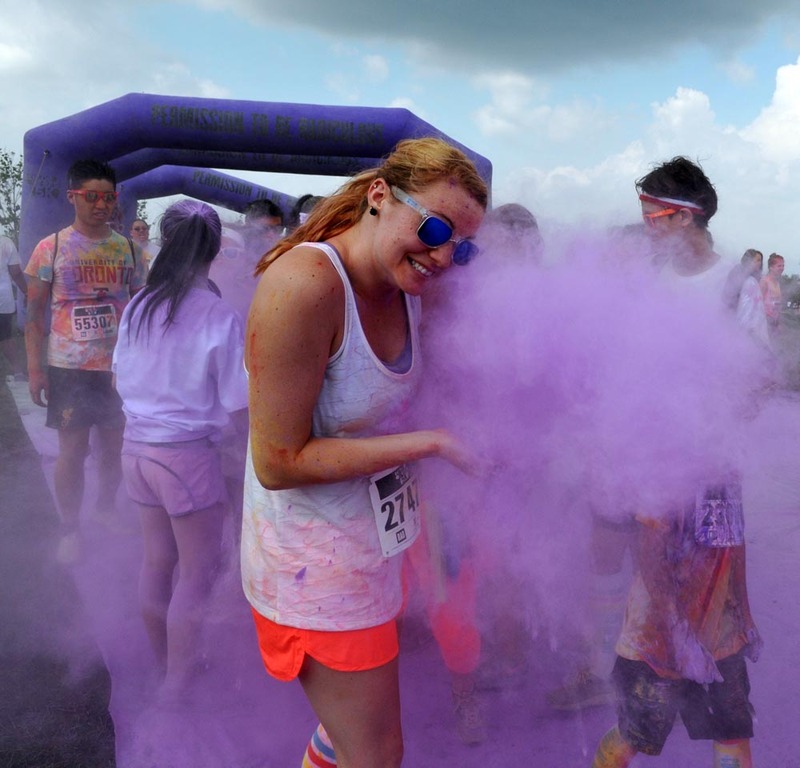 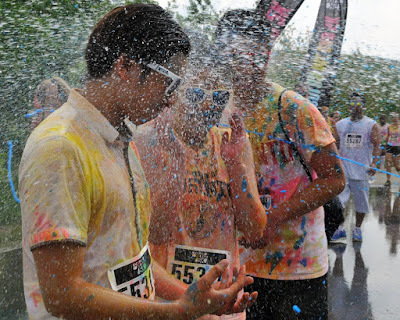 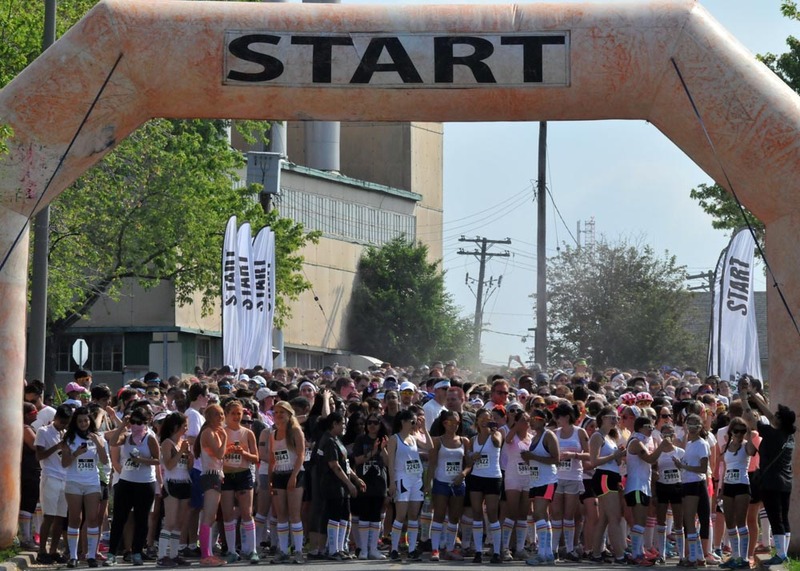 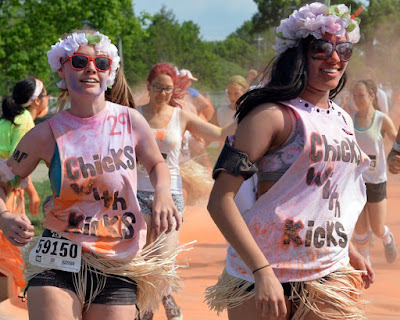 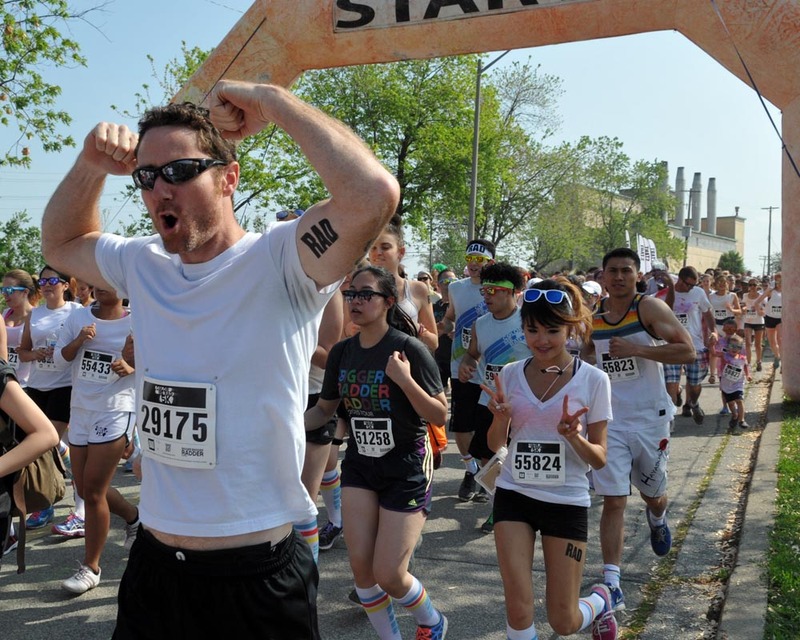 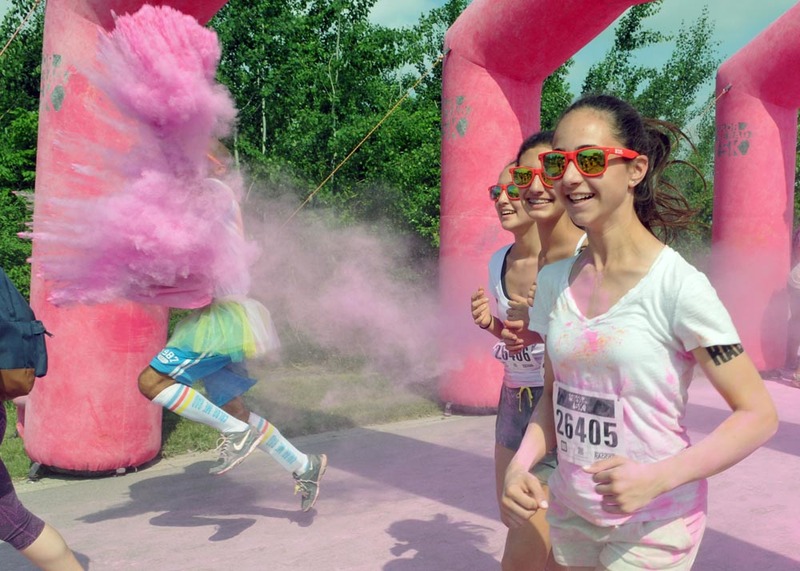 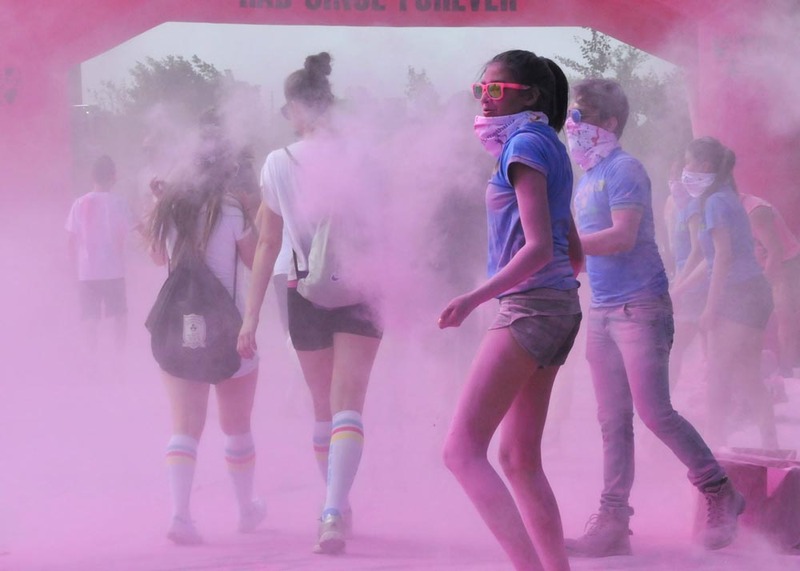 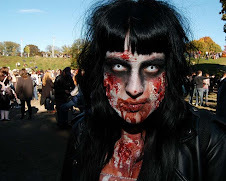 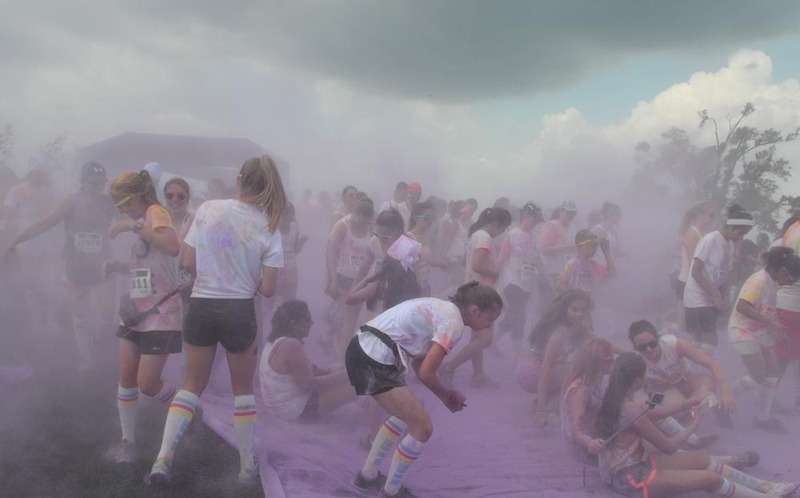 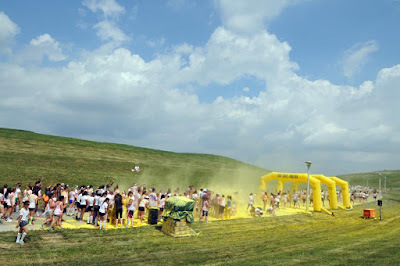 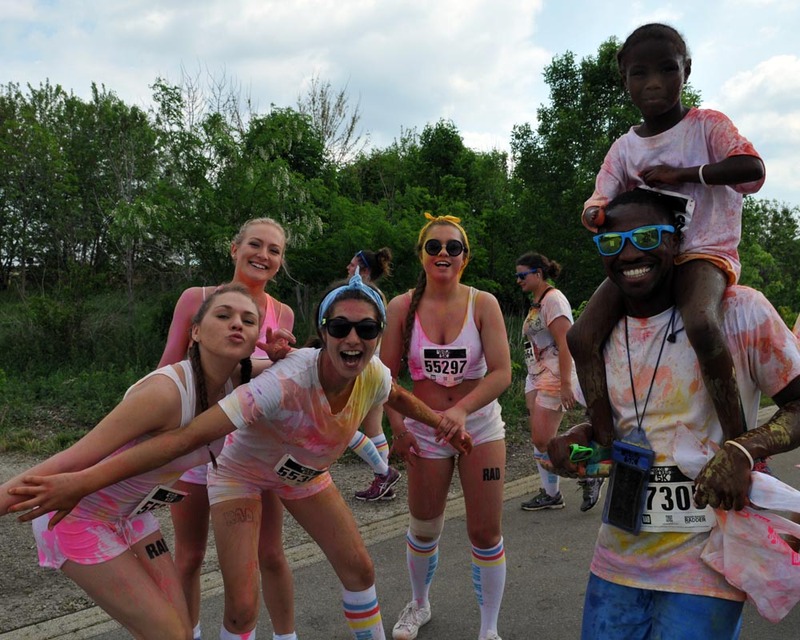 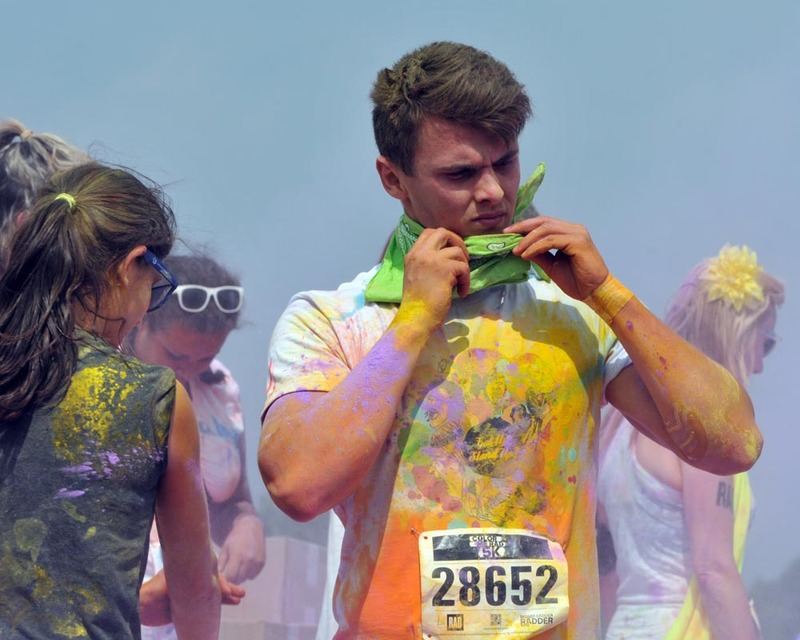 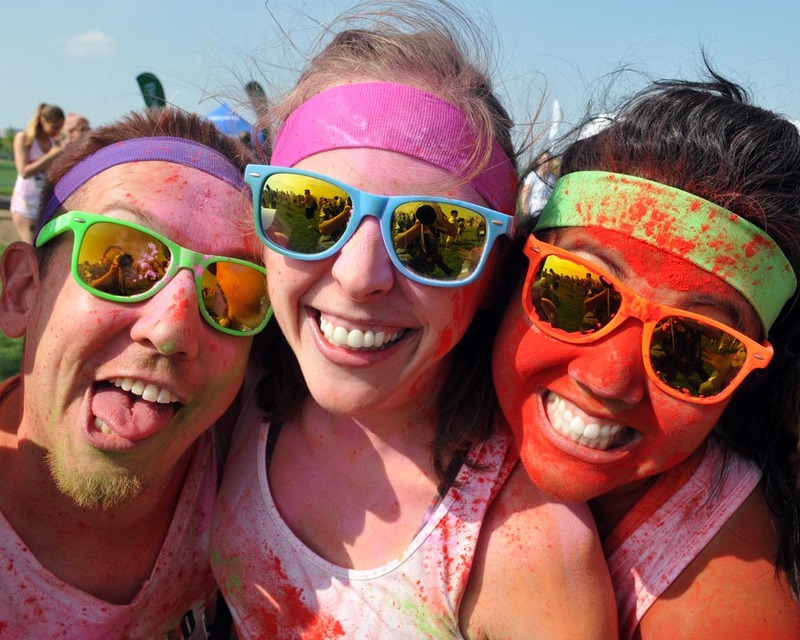 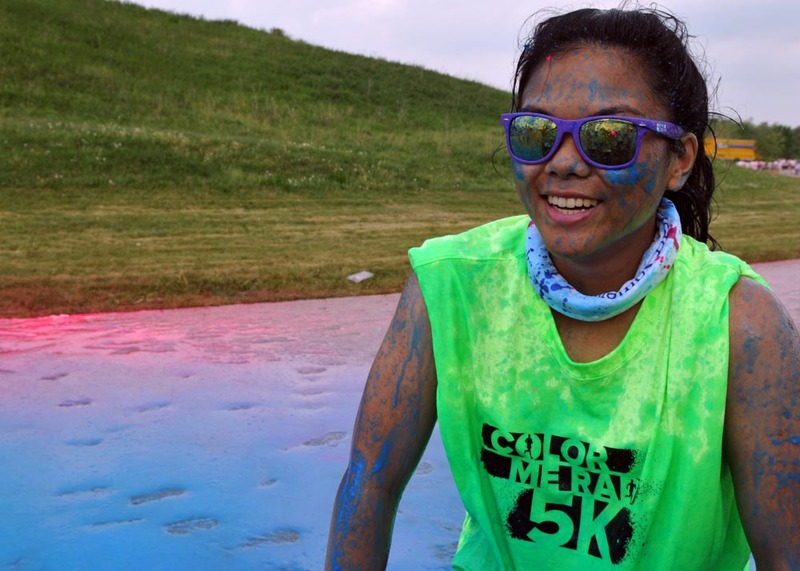 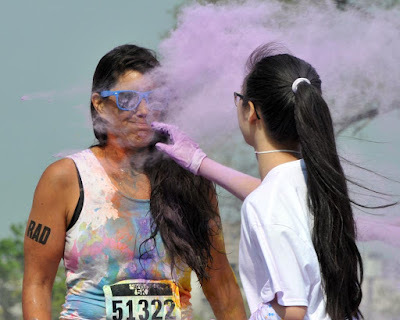 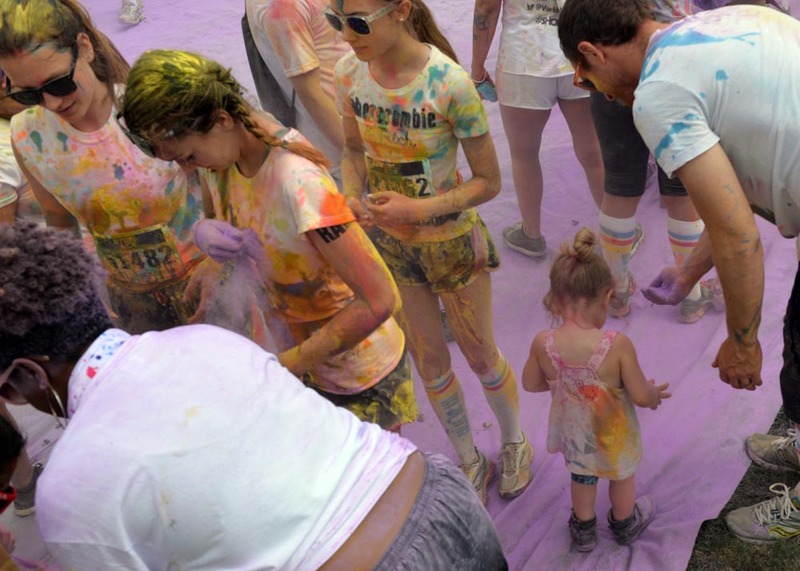 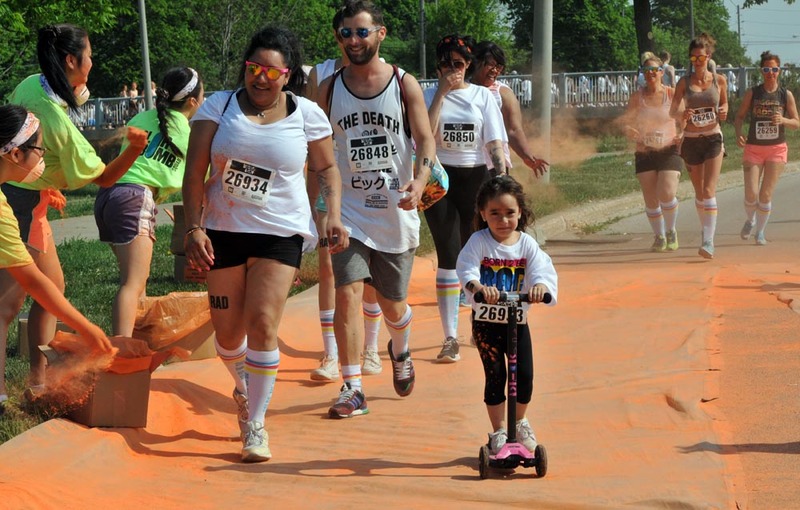 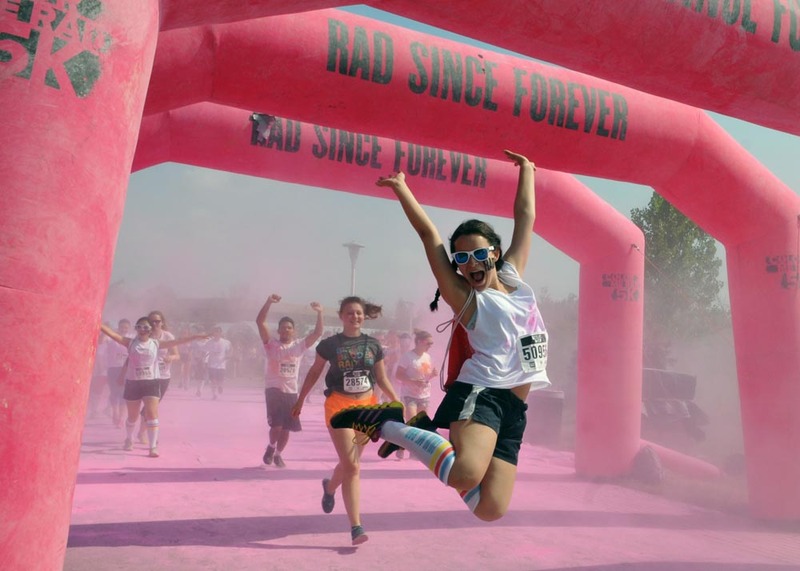 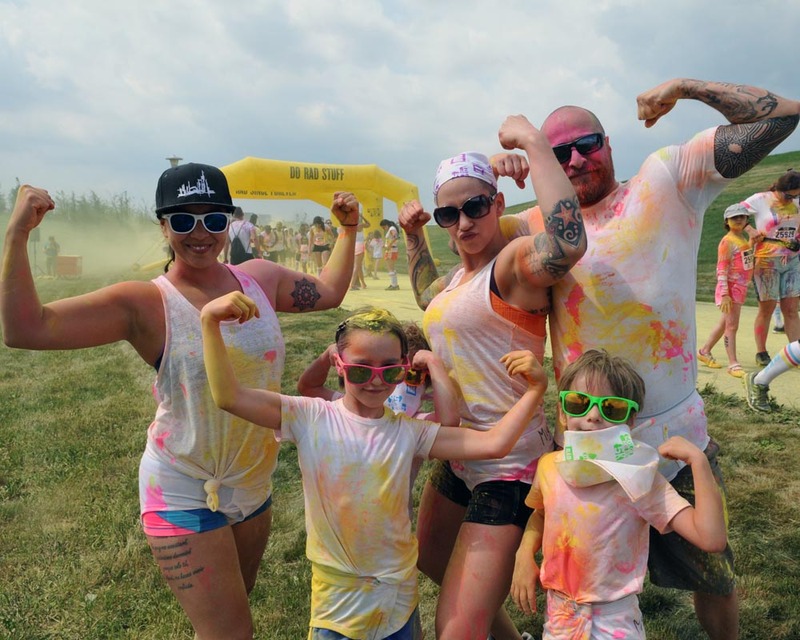 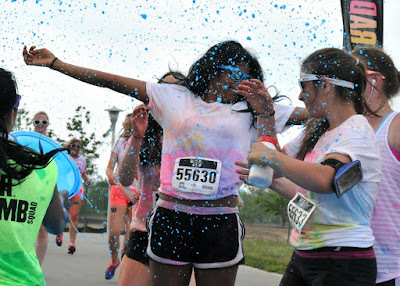 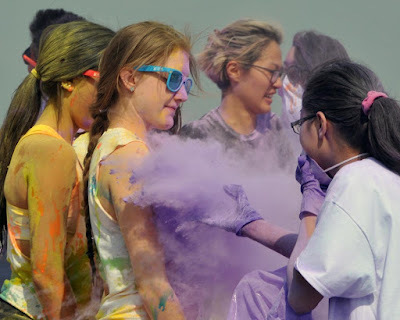 Crowds of runners poured into Downsview Park for the 5K Run where they get pelted with handfuls of coloured powder and splashed with goopy liquids. 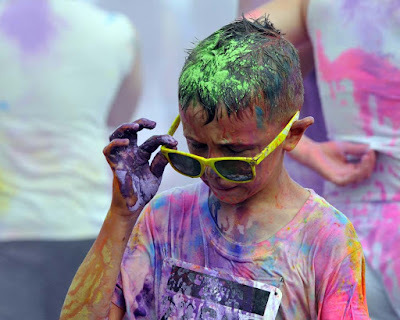 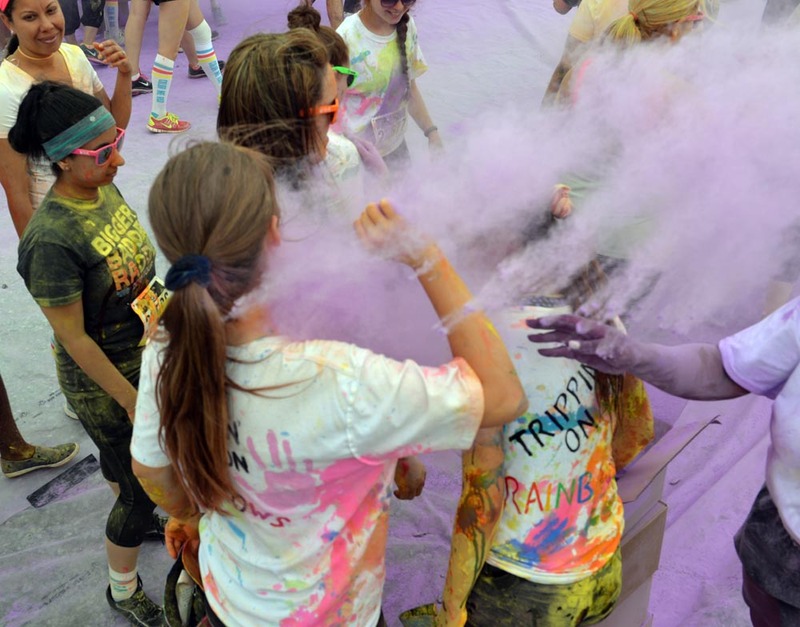 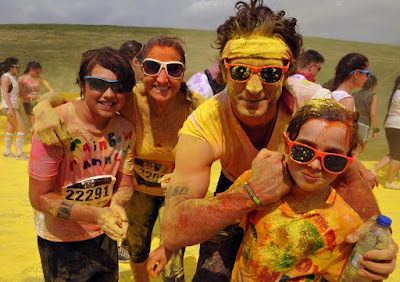 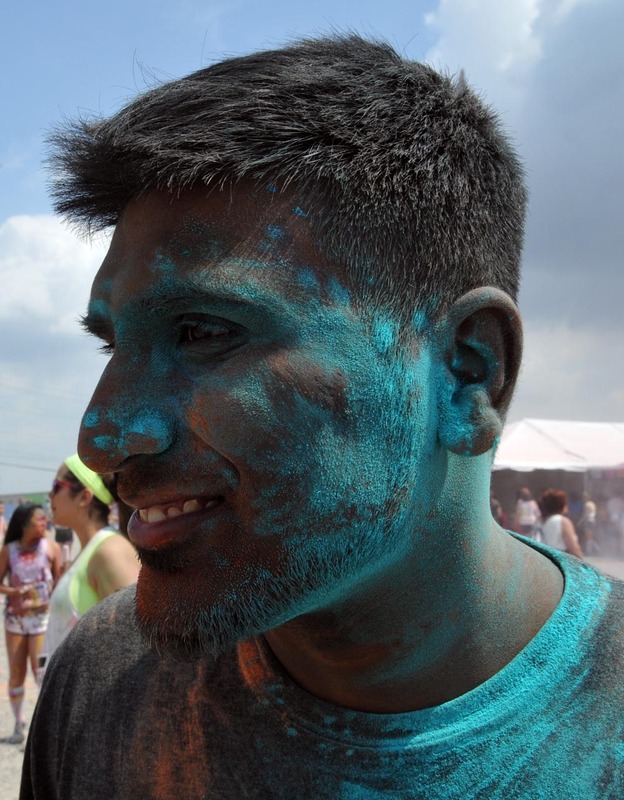 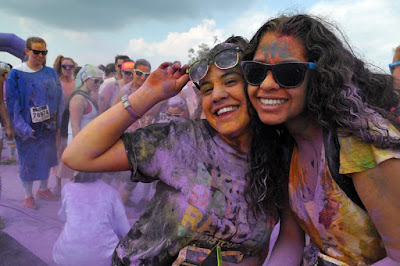 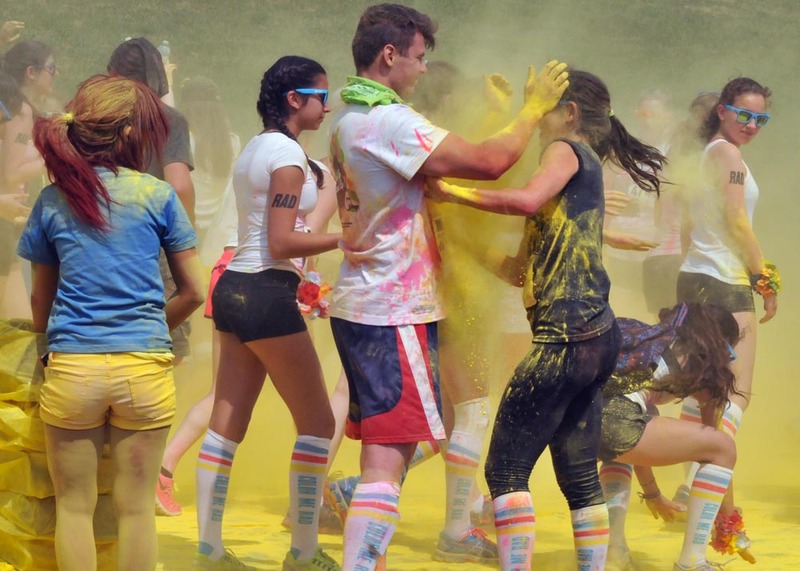 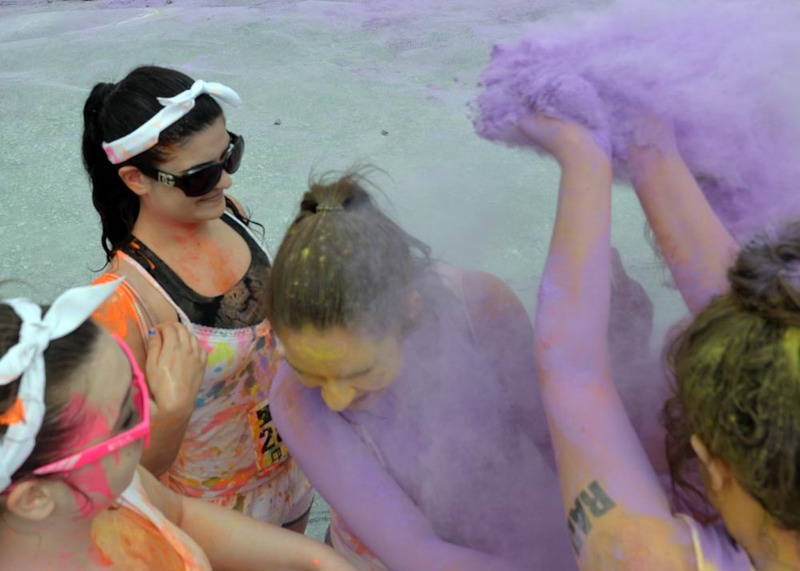 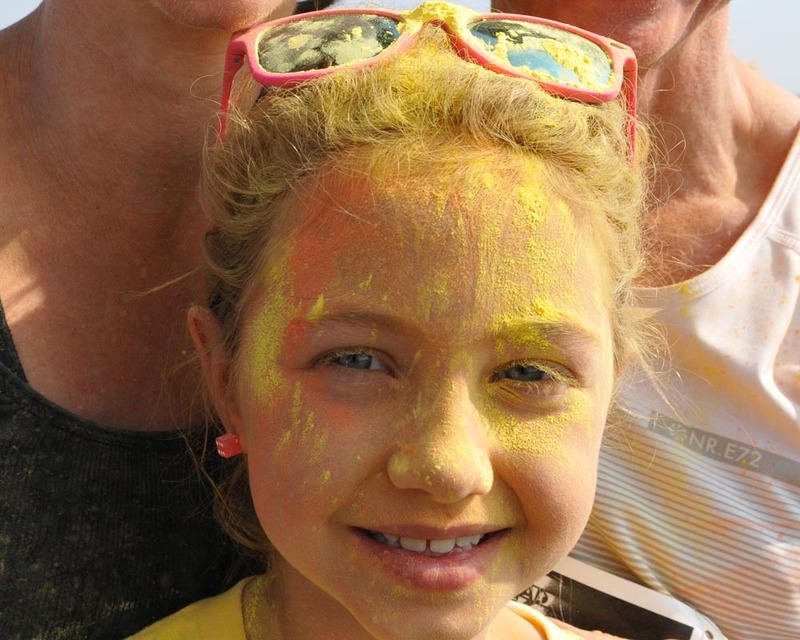 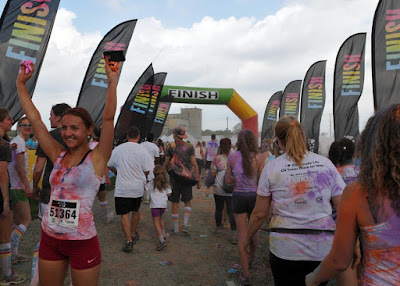 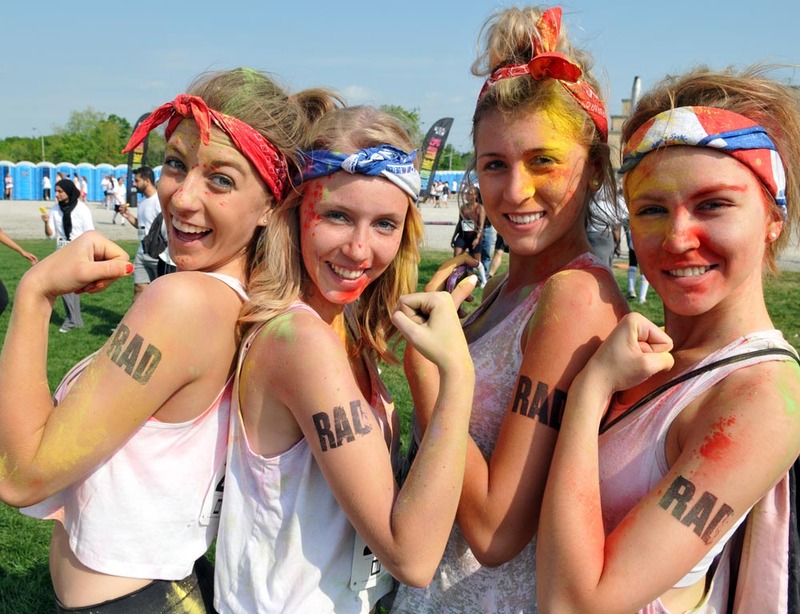 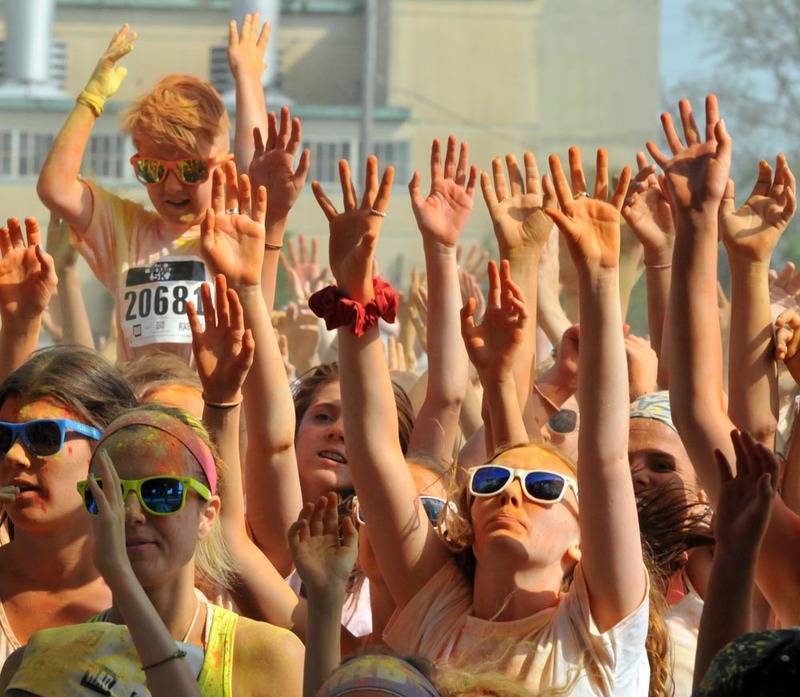 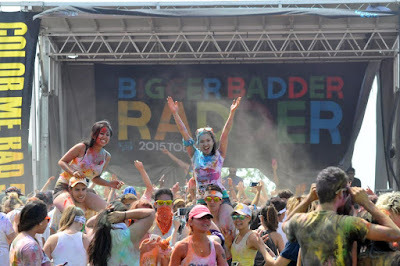 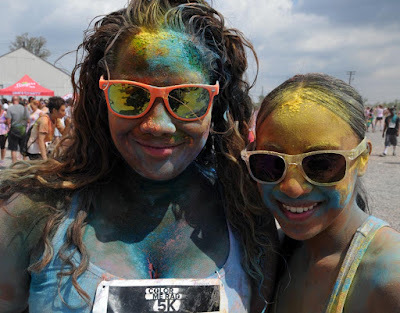 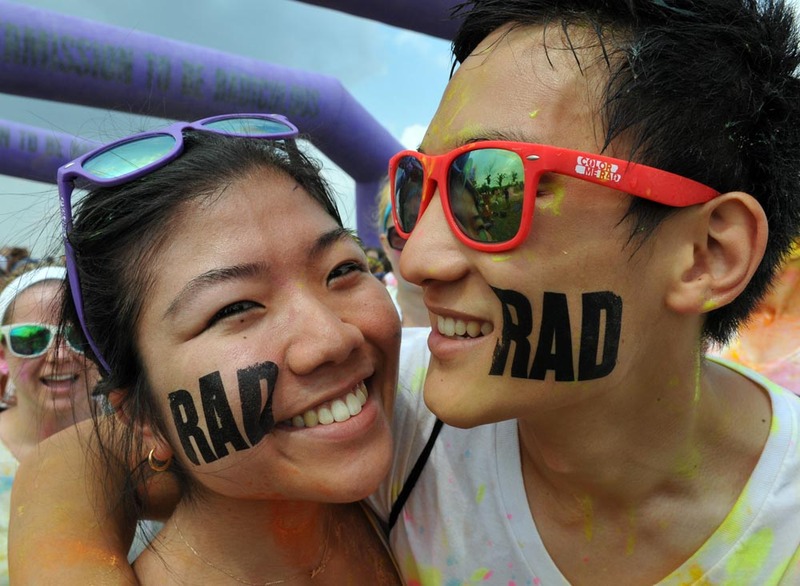 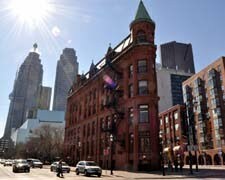 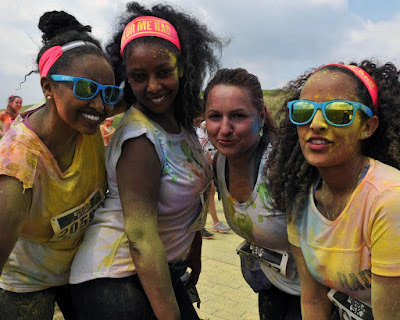 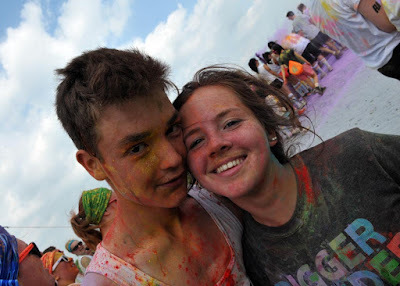 The Hindu Festival of Colours provided the inspiration for the 5K colour fun run. 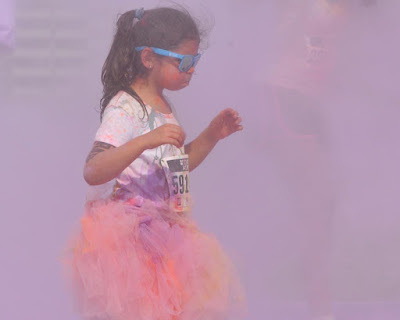 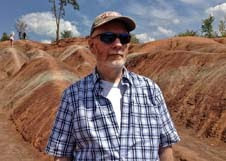 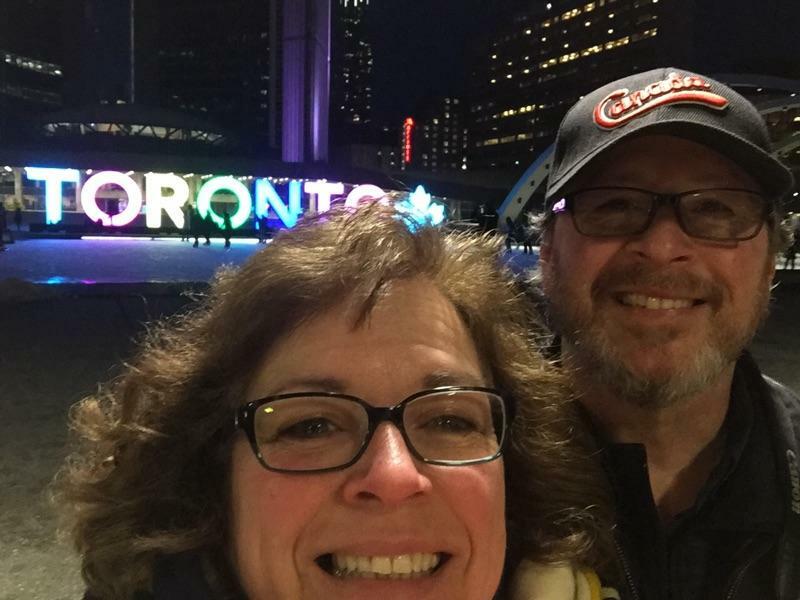 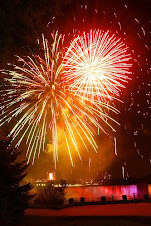 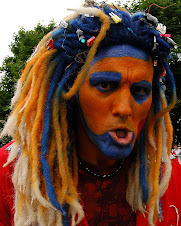 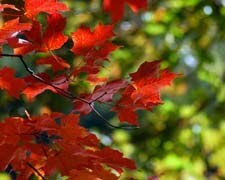 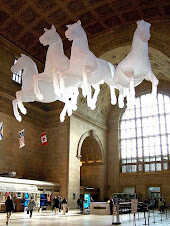 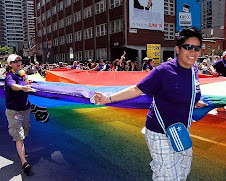 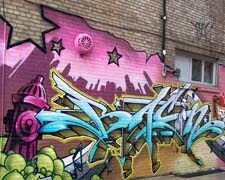 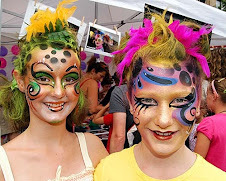 Bold colours made from gluten free, non-toxic, coloured corn starch in blue, orange, pink, purple and yellow. 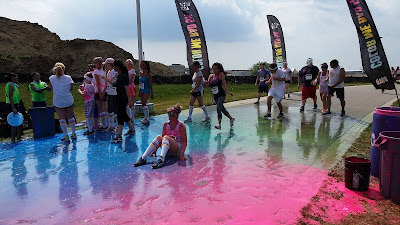 The powders, gels and liquids are applied in a cloud of colour at several stations spread out along the route, thrown and squirted by the RAD volunteers.